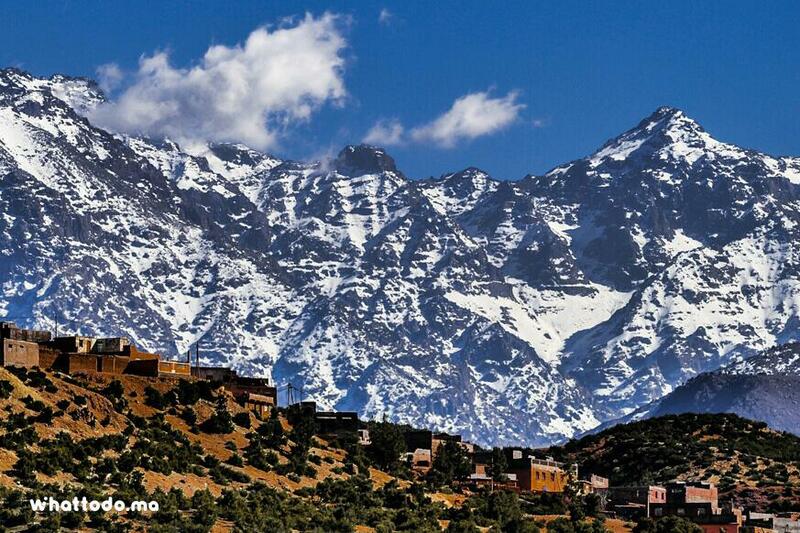 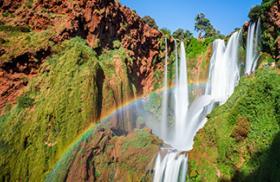 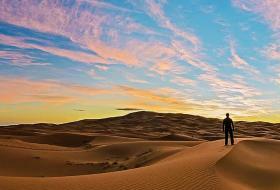 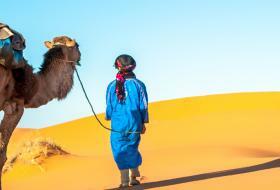 Explore the Atlas Mountains, Berber Kasbahs and the desert of southern Morocco. 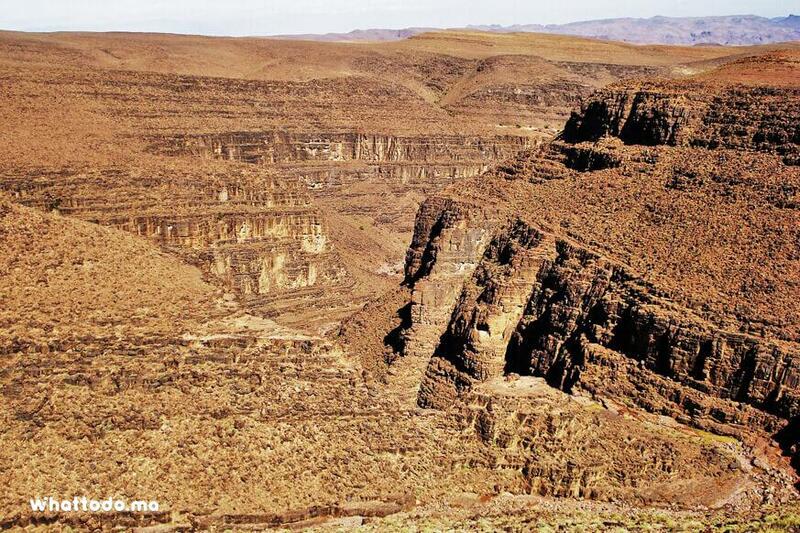 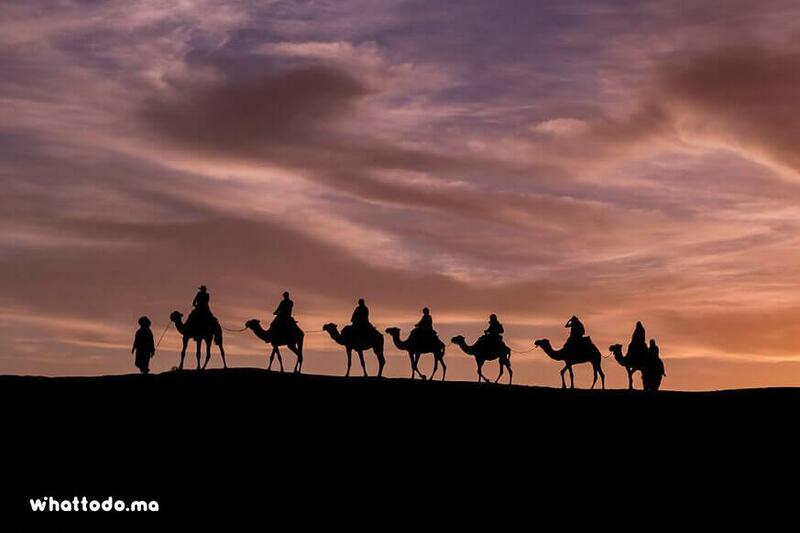 Take the road to the kasbahs, most of which are inscribed on UNESCO's World Heritage List. 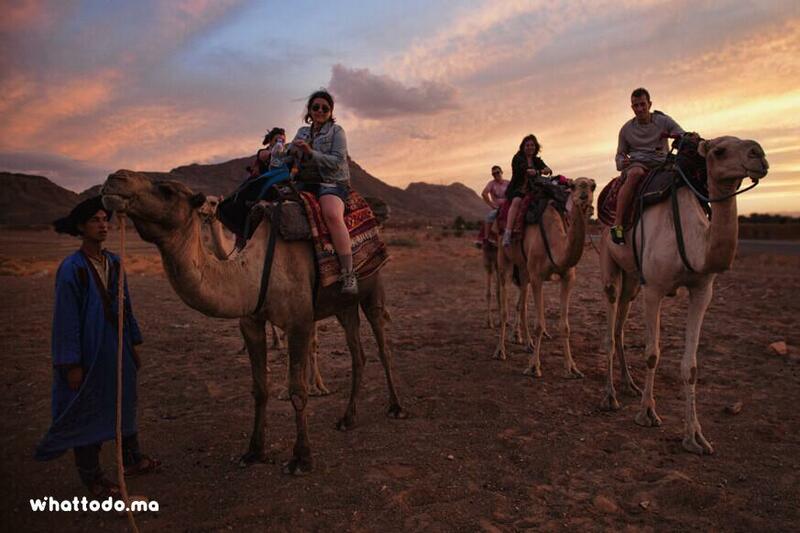 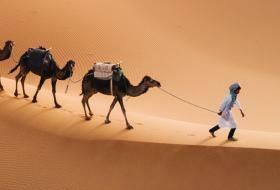 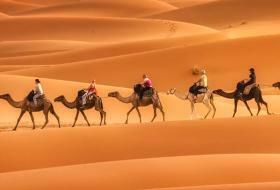 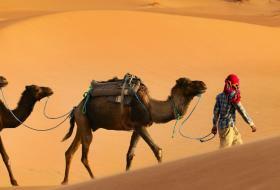 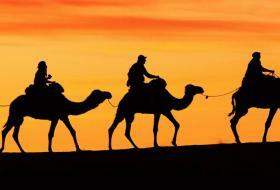 Enjoy a camel ride and follow the footsteps of the ancient caravans in the Zagora desert. 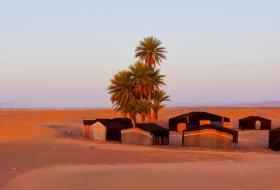 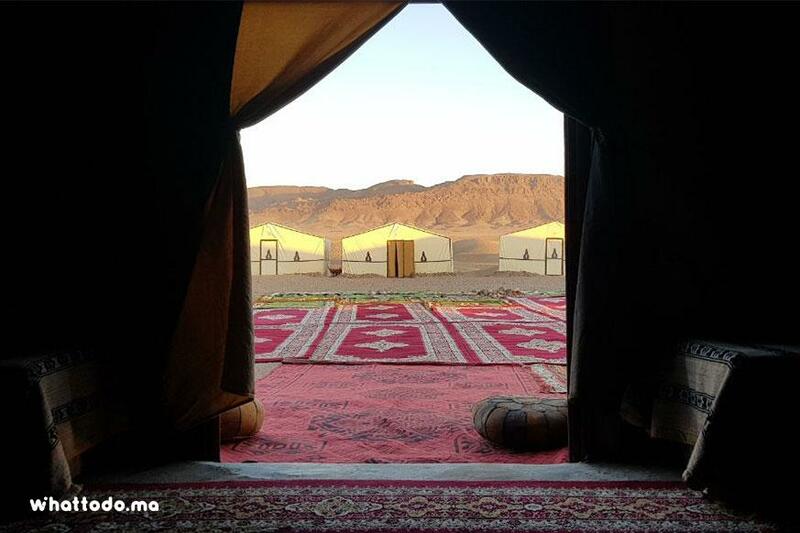 Sleep under the stars in a bivouac in the middle of the dunes of Zagora. 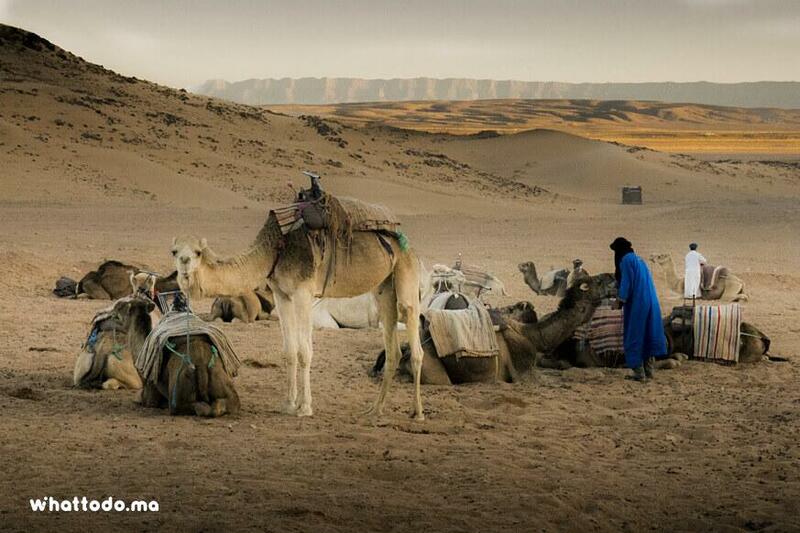 Discover the lifestyle of the Berber inhabitants of the Atlas and Zagora desert. 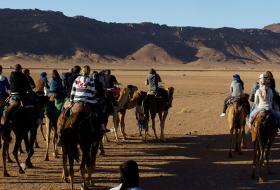 Zagora desert tour from Marrakech, one of the best 2 days desert trip from Marrakech to do, explore berbers villages, kasbah ait ben haddou, Zagora desert and Live a unique experience during the Zagora desert tour. 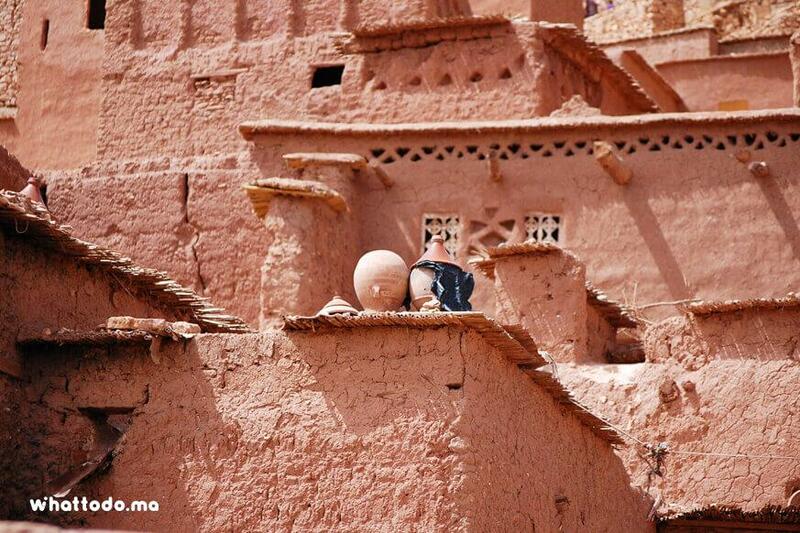 From Marrakech discover the South of Morocco, by riding the mountains of the Great Atlas and their famous Tizi-n Tichka pass perched at 2,200 meters above sea level, you will stop in the valley of the Ounila to visit the kasbah of Ait Ben Haddou classified since 1987 a world heritage site By UNESCO. 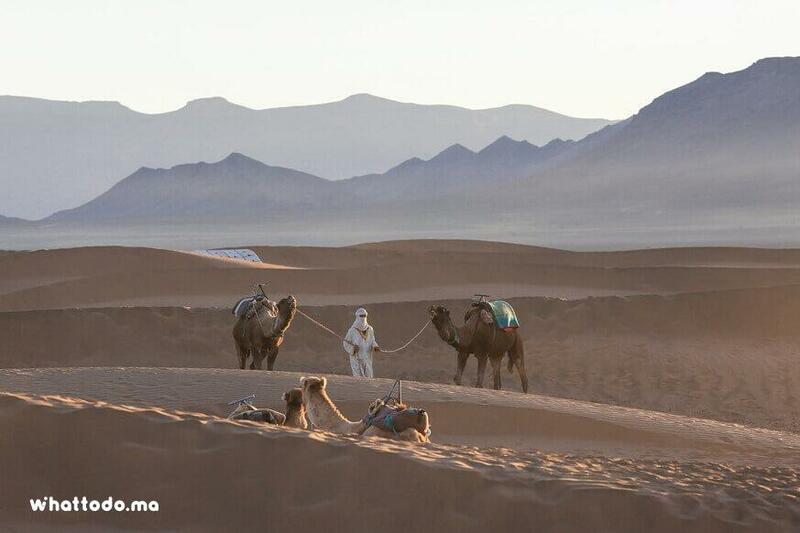 Being once a traditional crossing point for caravans connecting Marrakech to the south of the Sahara, the famous Kasbah has housed scenes from several bestsellers of world cinema like Mummy, Gladiator, 7 years in Tibet or Alexander the Great. 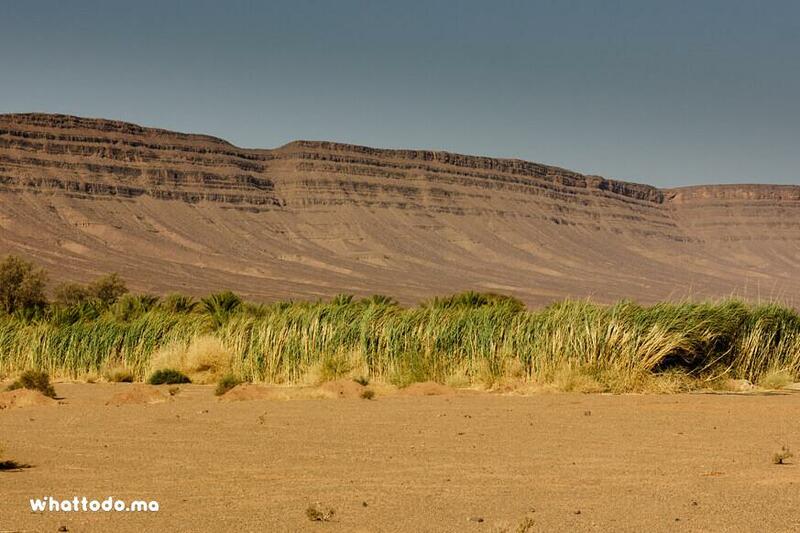 Go through the 167 Km you have left to reach the dunes of Zagora through the village of Agdz which gradually emerges from the Anti-Atlas Mountains. 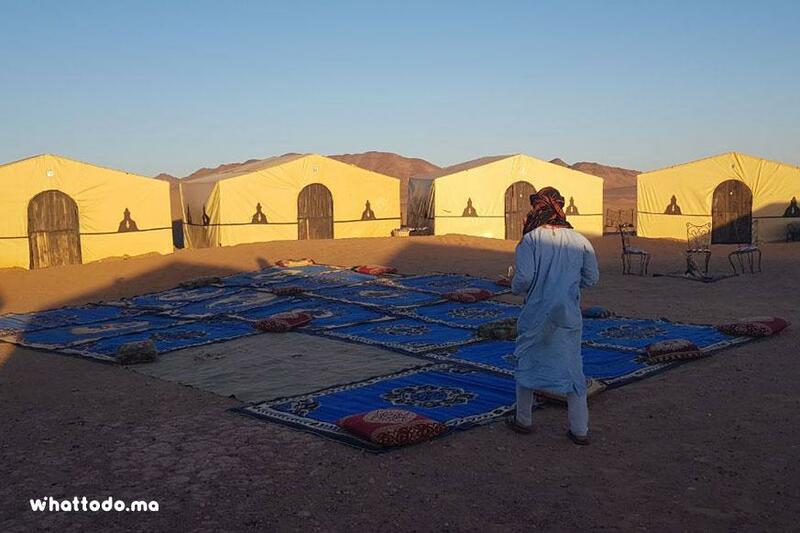 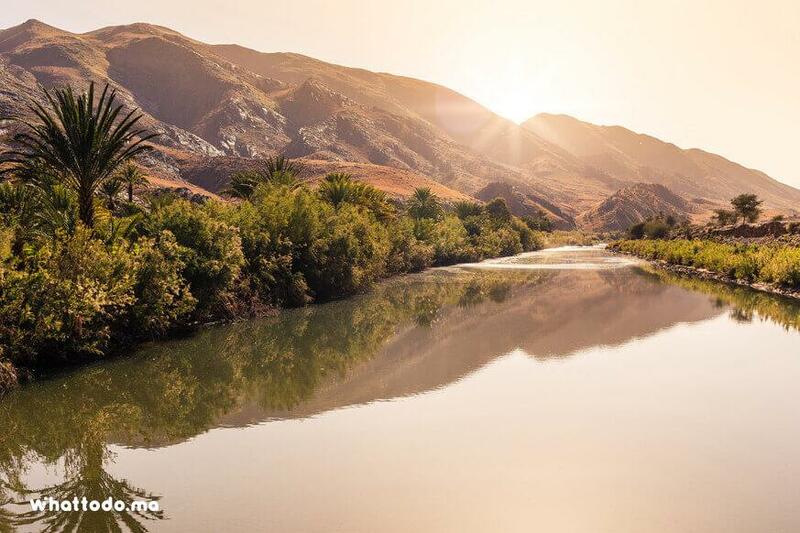 Enjoy the captivating views of the Draa Valley, dotted with the first rooftops of the Kasbah and its oasis of palm trees that give way to the dunes of the Zagora desert. 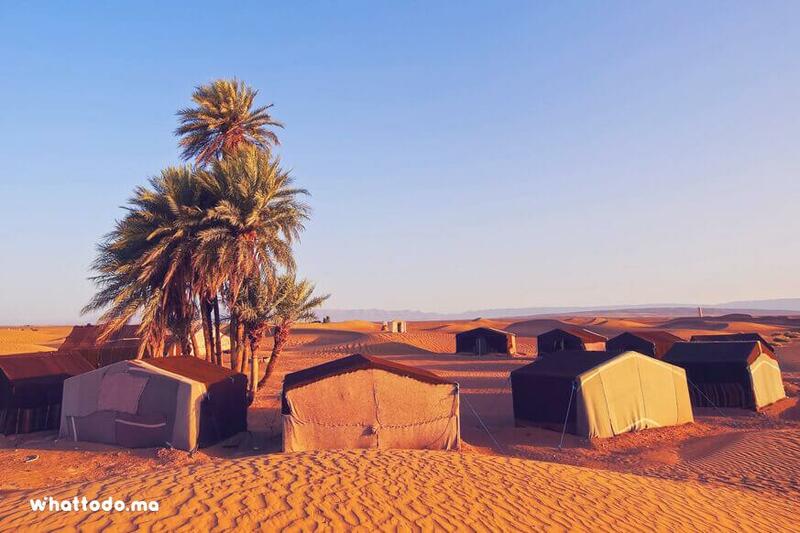 Once in Zagora, go for a unique camel ride on the dunes and savor local cuisine in a Saharawi tent (Khaïma) in a bivouac prepared especially for you to spend the night. 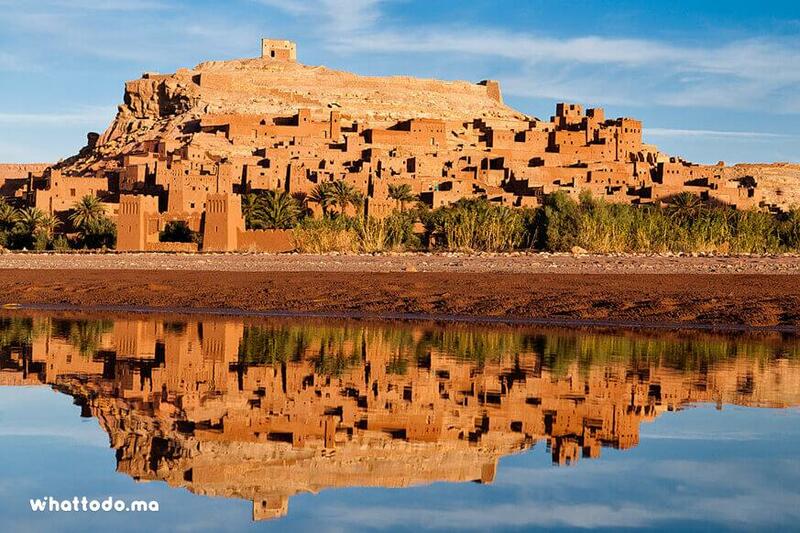 After a hearty breakfast, take the road to the Draa Valley and join Ouarzazate to discover its famous film studios whose scenery has been used to film several successful feature films such as Laurence d'Arabie or Babel, other. 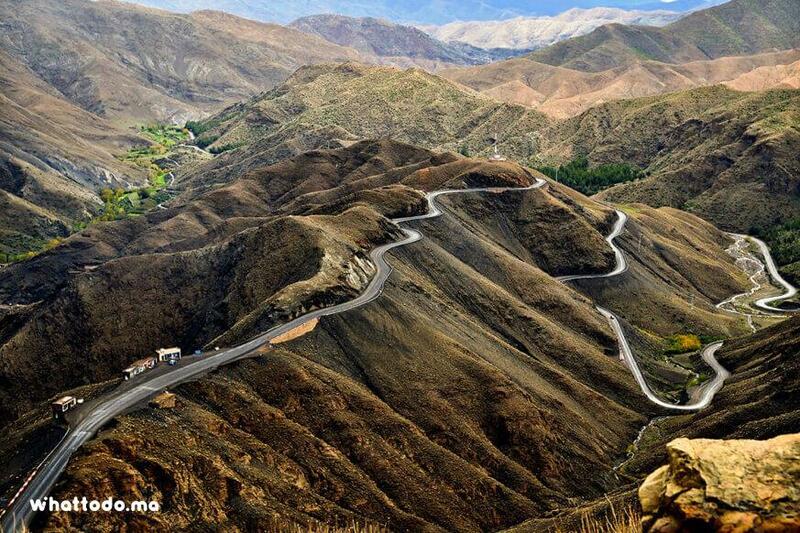 Return back from Zagora desert tour, take your lunch and cross again Tizi-n Tichka pass before returning to Marrakech. 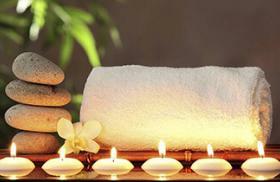 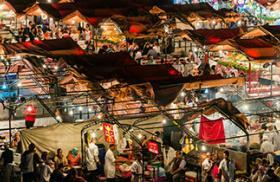 Collect and drop-off form your accommodation in Marrakech. 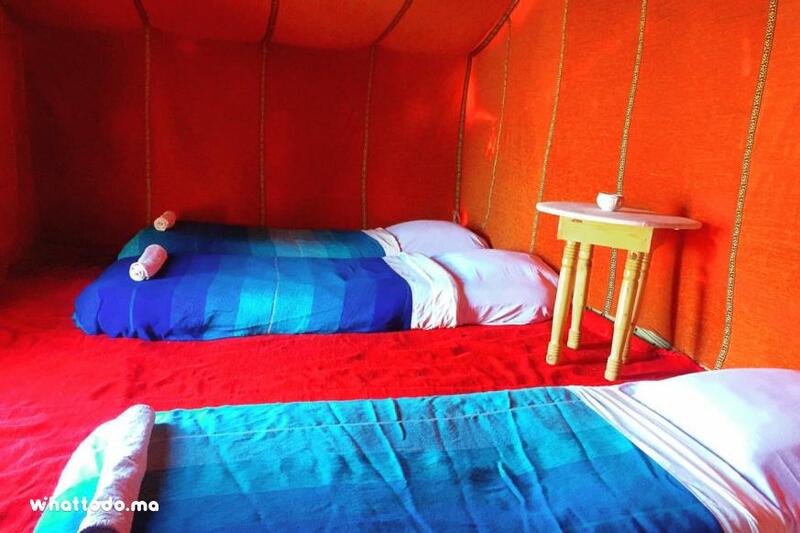 Please mention the name of your accommodation on your reservation.